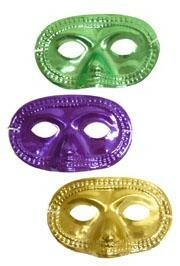 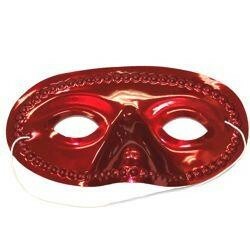 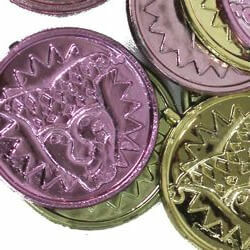 These plastic masks have a purple, green, or gold metallic finish. 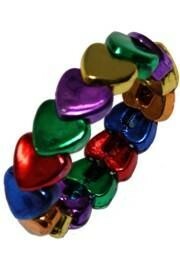 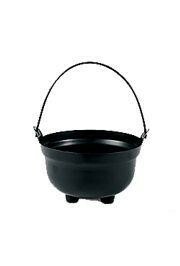 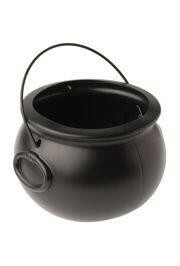 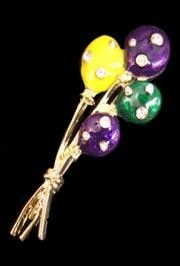 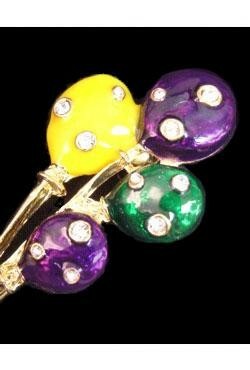 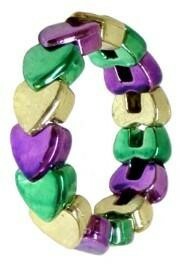 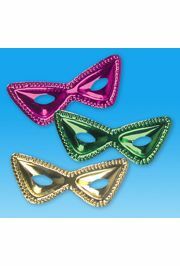 They are perfect for Mardi Gras parades and Halloween. 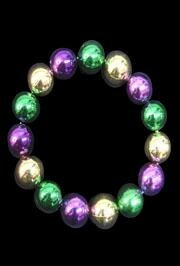 They have an elastic string to keep them in place. 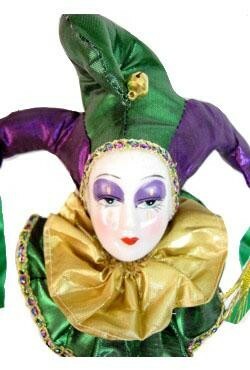 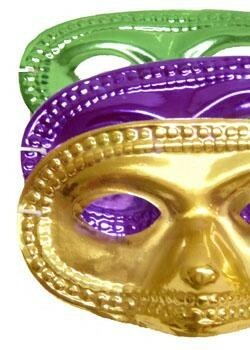 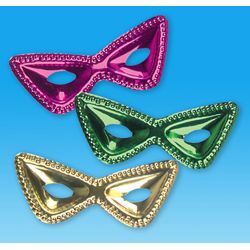 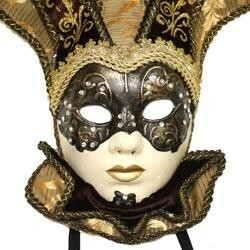 These half masks come in traditional metallic Mardi Gras colors: purple, green, and gold. 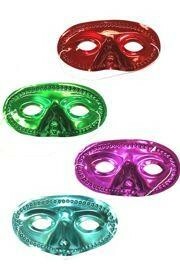 They are plastic and have elastic strings to keep them in place. 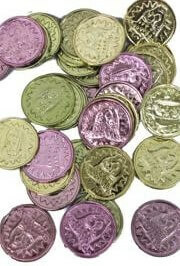 Save money when you buy by the case! 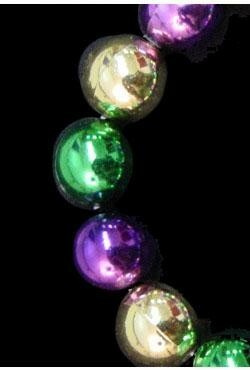 A purple, green, and gold balloons with rhinestones pin/ brooch. 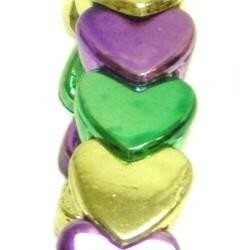 This measures 2.5in x 1in. 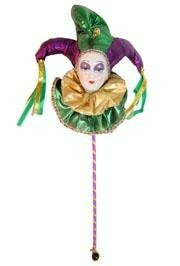 They are perfect for parties and parades. 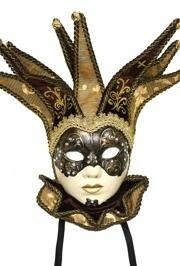 Brown paper mache hand painted Venetian masquerade mask with hat and collar outlined with rich gold fabric with bells and decorated with plastic stones.